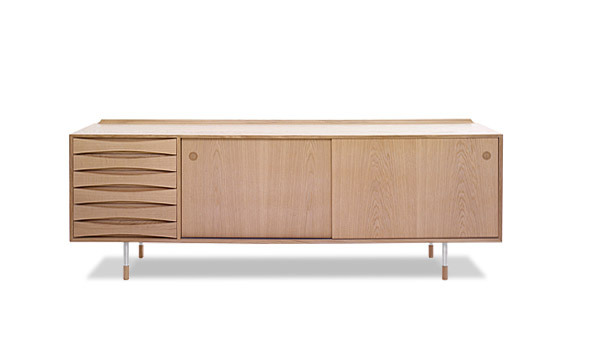 AV-01 Sideboard by Arne Vodder / Snedkergaarden. Material: Oak or walnut. Optionally the sliding doors can have one side in white or black. Size: W. 220 cm, H. 78 cm, D. 45 cm.